ABC News' Diane Sawyer sits down with former Olympic gold medalist Bruce Jenner, who discusses his love for his family, the decisions he's made, the journey he has taken to get to this point in his life and what he has planned for the future. 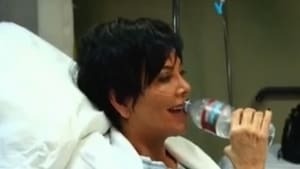 Kris begins dating someone after twenty-five years with Bruce; Khloé ends up in hot water over an Instagram post, and Kim receives a lesson in manners when she tries to recruit Kourtney for her video game. When Scott has a flood of suspicious activity and vague business dealings, the family decides to pull back the curtain on Scott's man-of-mystery persona; Kris is concerned she's made a mistake by putting Kourtney in charge of her living will. Kim tries to find a temporary home for her, North and Kanye. Khloé defends Kendall and Kylie after a fight with Selena Gomez. Kim attempts to prove that her skills go beyond the world of beauty and fashion as she makes a speech at a conference. Episodul 6 - Don't Panic! Scott up to it wasted and belligerent at Kris's birthday; Kim uses to spy tactics to solve a theft problem at Dash New York. Even though things are changing for the Kardashian family, they are determined to remember that family always comes first. The birth of a third child sends Scott spiraling, and Khloé gets Bruce to help bring Scott back down to earth; Kylie's wish of owning a home comes true faster than she ever thought. The media starts poking into Kylie's beauty secrets and she realizes she must address her new look; Scott is afraid he made a mistake when he hires Kourtney as an interior designer. The two-part special will reveal intimate conversations that Bruce had with his famous family, in which they discussed his transition. The specials will also explore each family member's struggle to process his or her own feelings as they all work through hearing from Bruce directly about finally living life as the person he has always known himself to be. The two-part special also includes family home video footage that will remind viewers and the family of the special times they spent with Bruce as a father, husband and friend, and serves as inspiration for the memories they will create as Bruce lives his "new normal." 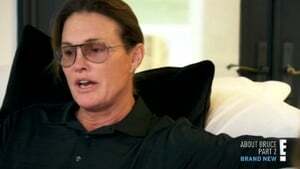 Bruce and the family continue to talk about feelings about Bruce's decision to live openly as the woman. Kim attempts to keep traditions alive by planning a family ski trip to Montana, but this year's vacation will have different vibe; On the slopes, Khloé tries to bond with Kylie. The siblings come home from Montana to wish their dad well as Bruce prepares to transition; Kris travels with Kendall to Paris; Kim seeks one last hope of getting pregnant. Khloé and Kim go on a trip to Armenia to learn more about their ancestors. Kourtney wants to discover why Kylie is acting distant. Kanye plays a surprise public concert to say thank you to Armenia; Kim arranges have North baptized in Israel's oldest Armenian Church; back in LA, everyone responds differently to having Caitlyn in their lives, with Kris taking it the hardest. 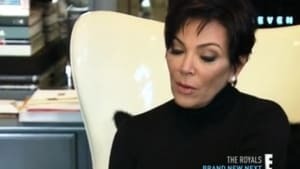 Kim works to smooth things over after Caitlyn's Vanity Fair cover story comes out and causes hurtful feelings among some family members; and Khloé considers how much emotional support she can afford to give Lamar.